Seat(s): Although the airline had toyed with preferrable cabin wide ‘more-legroom’ seating long ago, we’re happy to see the option back in the front of economy with American Airlines Main Cabin Extra. A varying handful of extra bucks can get you a few extra inches of legroom like here in row 10 aboard the slowly retiring S80. The “Extra” isnt in the seat itself but the legroom, early boarding and position at the front make it American Airlines Main Cabin EXTRA. Legroom isn’t where the “Extra” in American Airlines Main Cabin Extra ends. Similar to Delta Comfort Plus and unlike United Economy Plus, you’ll be placed in a priority boarding zone. In this case, it’s “zone 1” which sounds a little better than it is, but should get you on-board before all the prime overhead wheely-bag space is taken. Tech/Connectivity/Entertainment: We always keep at least 2 cigarette -style power adapters in our carry-on bag but normally it’s for the rental car. Most (not all) rows aboard the S80 are equipped with DC power outlets in American Airlines Main Cabin Extra, Economy and First Class.. While you slow-charge your gear, fire up Go-Go wifi. Speeds are early generation non-streaming quality so don’t expect to binge watch anything, but it’s good for pictures and tons of text. The salad we never ate (no dressing on-board). Light meals available for purchase on flights over 3 hours. Food: On-board food choices are the same in American Airlines Main Cabin Extra as they are further back in Economy and at the same cost. Menus change frequently but you can see what’s being served on most flights at American’s website. Service: Everything was going so great until we wanted something to eat. There was some trouble finding salad dressing on board and the flight attendant seemed annoyed at us for being a problem but eventually took the salad back and gave us a replacement sandwich. Our other flight attendant was super friendly, so we found some balance. How we got em’: It’s a rarity for us but this was a last minute, full fare Modhop to cover the 2015 Coachella Festival in Indio, CA for SiriusXM. Had this been a trip on our own dime we might booked earlier for a lower fare or used miles. 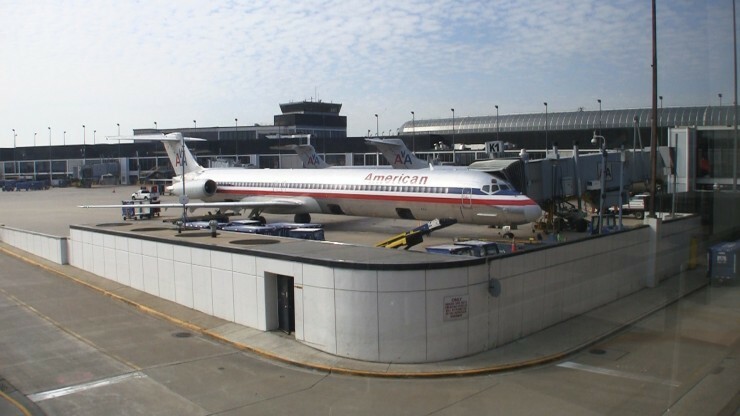 American offers one-way domestic flights using Advantage Miles for as low as 12,500 miles.